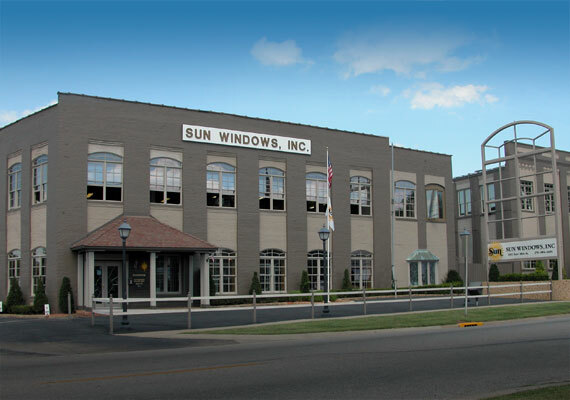 Sun Windows, Inc. is the exclusive manufacturer of SunClad™ Wood Windows and Doors and Sun Vinyl Windows. Located in Owensboro, Kentucky, Sun specializes in products that are built to order, following the specific requirements of Home Owners, Builders, Designers and Architects. Sun's extensive product line offers a wide range of product types, styles, features and options to meet these demands. Sun supports all of its products with outstanding service and a dependable warranty. Sun is a regional manufacturer. This allows Sun to streamline the process of meeting the needs of the customer while maximizing the advantages and flexibility of niche marketing. Under this structure, Sun can more readily adapt to changes, make product improvements, and meet the needs of our customers. Sun Windows is locally owned and operated and believes in the importance of the local economy, of putting back into the community, and in the small town ethic that built this country. Sun window and door products are built by order. This allows our customers to choose the products they want, in the design configuration they want, with the options they desire, all at a very reasonable price. Sun products are designed to maximize energy-efficiency. The frame and sash materials are designed to combat the harsh effects of the weather so that Sun windows and doors will provide protection and energy-efficiency year after year. The insulated glass systems use the latest advances in energy performance technology. This includes new generation Low-E glass, Argon gas filled air spaces, and Duralite™, the most advanced warm-edge insulated glass spacer system available. Sun products are also designed to prevent air infiltration around the opening sashes and panels when they are closed. This helps prevent energy loss and makes the home more comfortable. Sun products are top quality in the industry, competing with the the major industry brands. Sun Windows is confident in providing the best windows, doors and service under the sun.